As my time on the Newspaper MA at City comes to an end, I’d like to reflect on the skills I’ve gained over the past year and how I can bring those forward into the future. As a rookie reporter at a journalism conference at City two years ago, I saw many of its university graduates speak about their careers and how they got to that position. “I’ve been working in journalism for 20 or 30 years and I love what I do every day,” was the general consensus. The thrill of developing a story, chasing contacts for a quote and breaking the latest news glistened in their eyes. 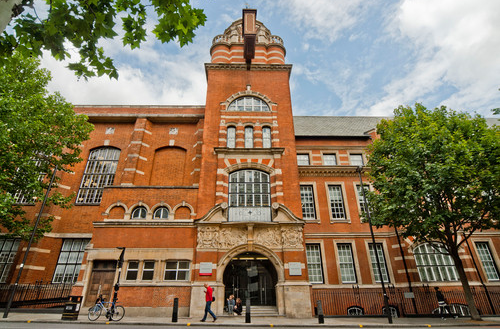 Image courtesy of City University London. I wanted to tell other people’s stories and amplify the voices that were not being heard. My background in English Literature and Creative Writing had given me literary fulfilment but I knew I could be just as creative on City’s Newspaper MA course. I had always aspired to move to Britain and hoped to learn from editors at the pinnacle of their careers. Studying at City seemed like the perfect opportunity to achieve my goals. When I started the course, my experience was primarily student journalism. While my previous placements – from leading the reporting on a project for The Kerryman newspaper to assisting a self-published author with digital work – had given me a firm foundation as a writer and editor, I wanted to cement my understanding of the developments in journalism and enter working life equipped with all the skills I would need in the future. Throughout the MA, I was always pushed to do better by my lecturers. 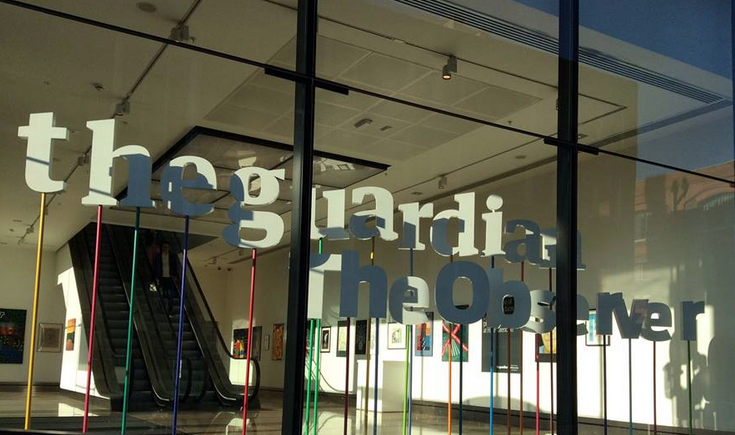 Over the first semester, which had a more newsy slant, I was trained to produce work in a very short space of time, track down a variety of stories, send Freedom of Information requests, comprehend the new changes in media law and debate ethical challenges with Guardian media commentator Roy Greenslade. For the first time, I studied politics and explored the key issues in government under the guidance of Professor Ivor Gaber. This was a great complement to my media law module and really furthered my knowledge of the different aspects of parliament and elections. I also chatted to former students of the course like Kaya Burgess from The Times and Jon Devo from IPC Media, both of whom offered a valuable insight into how best to demonstrate our skills in an active newsroom environment. Second semester kicked off in a blaze of shorthand speed tests, celebrity spotting, newspaper designing and guest speakers (Alastair Campbell and Guardian features writer Simon Hattenstone, among others). The deadline was also looming for my online journalism portfolio. This was a team effort to showcase our production in terms of video, writing, podcasting, curating, liveblogging and more. With such a niche topic like London’s oral history, we really had to plan our content with a focus on features rather than news and become part of the wider genealogical community, especially in terms of online engagement. The data requirement was perhaps the most challenging aspect, but now I’m using my data, curation and media law knowledge as a basis for the entrepreneurial journalism module by developing an idea to quickly round up London court orders for a journalist readership. Feature writing, in particular, was a very enjoyable aspect of the second semester. I found the small groups were effective in providing immediate feedback, including our tutor Paul Bolding’s critical eye. It was a chance for me to combine my interests in journalism and publishing, through my interview with the Chair of the Society of Young Publishers and review of London’s only urban writing retreat. I’m currently expanding my knowledge of the publishing landscape through my final project: an exploration of whether book covers should be marketed towards one or both genders. My variety of placements at The Bath Chronicle, Who Do You Think You Are? Magazine and the Observer all gave me a different view of journalism. I wrote a mixture of news and features, some focusing on the arts. The experience of producing news for a regional newspaper, national magazine and national newspaper highlighted the different priorities of each in terms of content, but the common emphasis was on telling stories in the most concise and clear way and really taking your readers into consideration. What angles are going to be most relevant to them? What will they want to know? How can you share that in the most interesting way – through words, pictures, audio, video, graphics and/or data? What’s the best way to attract them? With a revealing interview, a shocking figure or a front page splash? I’ve been lucky enough to have wonderful mentors at the media organisations I’ve worked at and their advice has been invaluable. It’s crucial to have that kind of support in the first few years of establishing a career, particularly from my great tutors on the course, freelance journalist Ann McFerran and Sunday Times night editor Maurice Chittenden. As I finish my university years and take the next step into working life, I’m looking forward to the challenges and opportunities that lie ahead. Best of luck with the next chapter.